i've definitely got to be in the mood for it ... but when a hankering for indian food happens ... it's one that i absolutely must satisfy. i stumbled upon essence of india a few months back when searching for some delivery indian food that would be tasty, vegan & whole30 compliant (or close to it) ... and since then, i've ordered it at least twice. about : "our desire is to create a contemporary-yet-authentic indian restaurant ... from the tableware to the indian artifacts that surround you, we want you to experience both a culinary & cultural passage to india." sign me up! chana masala : chickpeas cooked in a curry sauces w/ onions, tomatoes & indian spices. dal turka : yellow lentils sautéed w/ onion, garlic, ginger, tomato, indian spices & whole red chilies. okay, it's not my fault that indian food looks so unappetizing in photos. because it's so so so good! 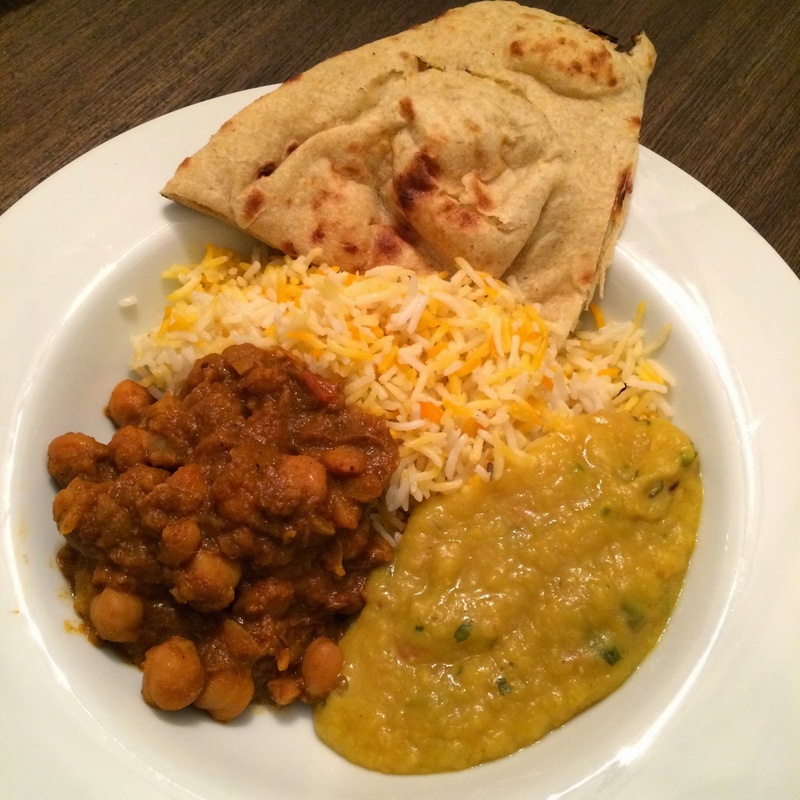 this dal turka is especially delicious & the chana masala is pretty spot on, too. my favorite thing about essence of india really is that their menu labels which vegetarian dishes are vegan (!) ... they also denote that's gluten-free & what's not. really, very nice of them! check 'em out. Id love to hear more about doing whole 30 vegan! ive been wanting to try, but am so scared of how limiting it might be, with an already limiting diet. but if it allows you to eat a meal like the one above, maybe i CAN do this! My boyfriend and I love Indian food as well. We stumbled across this place on Devon: http://www.aryabhavan.com. All vegan (buffet on the weekends). The owner is so nice and accommodating. Thanks for the recommendation. Love your blog!